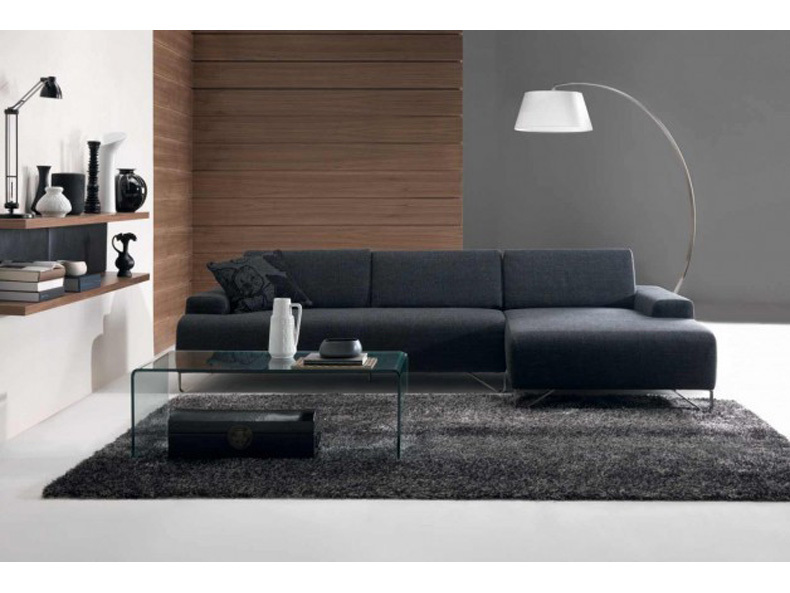 A modern sofa, with a streamlined and light design. Thanks to an innovative manual mechanism, the backrest inclination can be adjusted easily to make the seat more or less deep and to adapt to any need for comfort. Just like the backrest mechanism, the original metal triangular feet become a functional and design-oriented aesthetic detail. 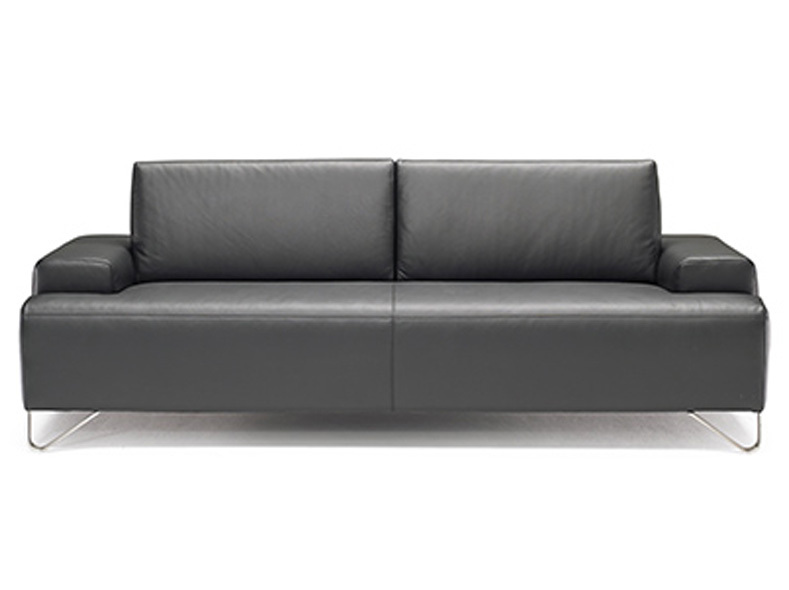 Versions available: two or three seater sofa or modular with chaise longue. Covering available in leather, microfiber and in fabric.